I'll be honest, this winter wasn't the best we've had. We averaged a few sailfish per trip and had plenty of good days but it wasn't the season we hoped for. Fortunately, spring is here and the bite has picked up tremendously. 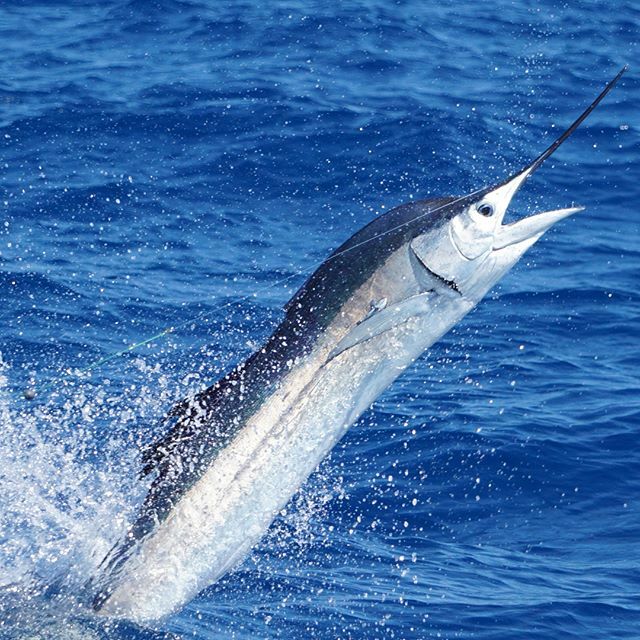 We have had 3 double digit sailfish days during the last month. We caught 12 one day, 10 the other, and 14 on the most recent trip. In addition, we have had nice kingfish around, amberjack, permit, and more. With a nice mixed bag and plenty of sailfish around, we can definitely say that spring is here and it won't disappoint. The kite fishing has been very steady since March. 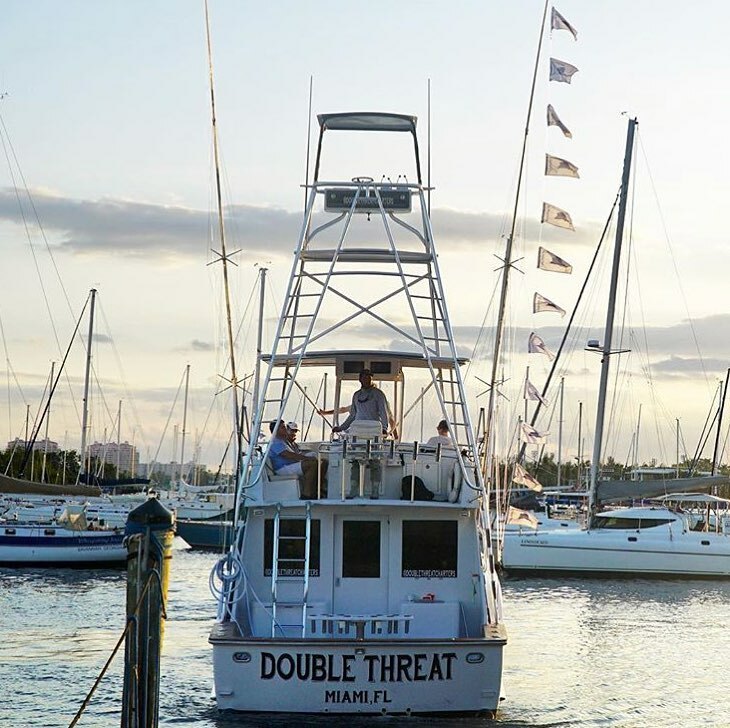 We have caught 155 sailfish so far this year out of 75 charters. We have averaged about 2 per trip but have had some stellar days as well. 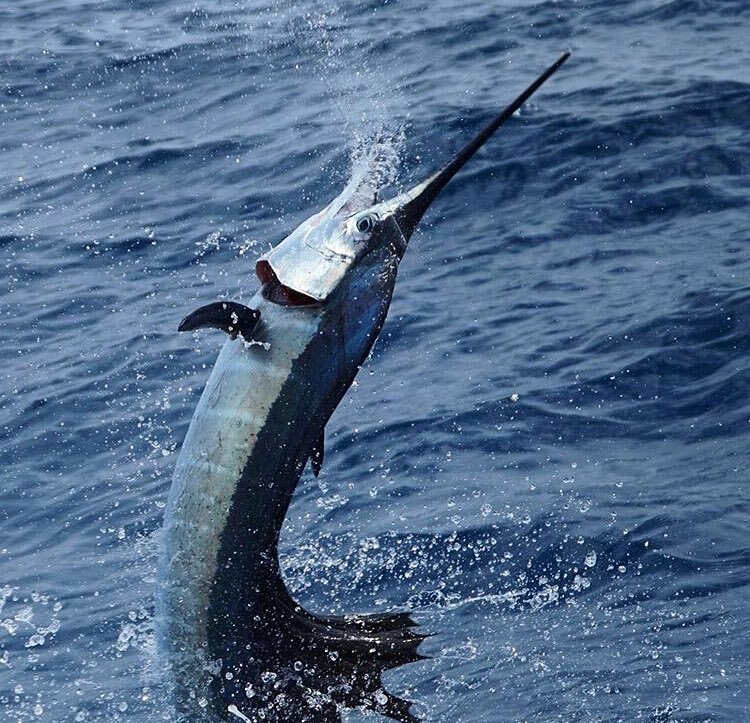 Sailfish are a lot of fun and make a great introductory billfish. They are very photogenic and our crew loves capturing images of these fish when they jump. We both have high quality cameras to help capture the moment. There is always by-catch while kite fishing. 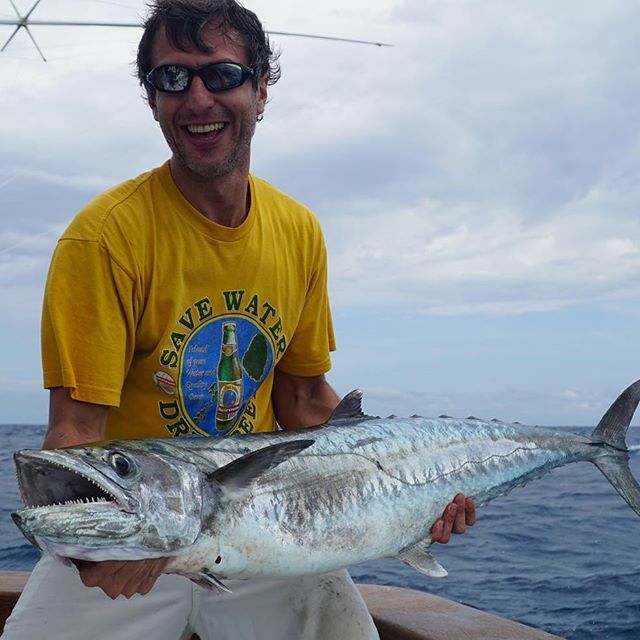 In addition to sailfish we have caught some nice kingfish, mahi, blackfin tuna, and more during most of our trips. Pictured below is a nice kingfish. This king is one of many from this season. When we aren't kite fishing we often wreck fish in between spots. Wreck fishing is a lot of fun and usually involves heavy tackle. Grouper are closed but we have still been releasing some quality fish. In addition to grouper we have been catching some big amberjack and permit. Amberjack are hard fighters. To catch them we use over 40lbs of drag to rip them away from the wreck. 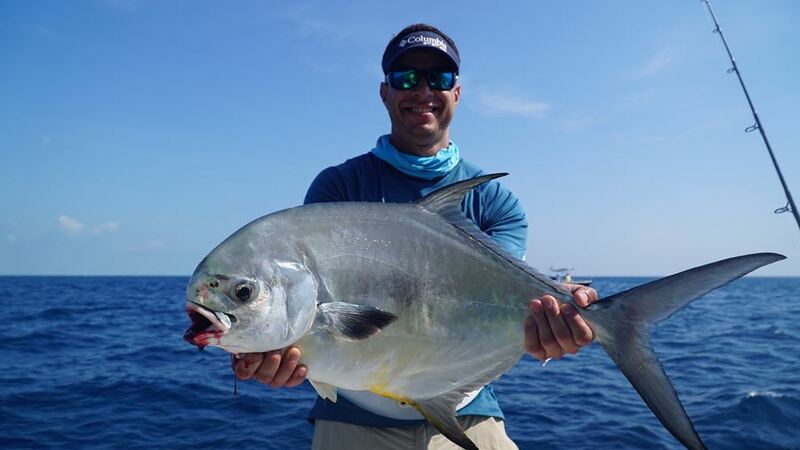 In addition to amberjack and grouper, spring is a great time to catch permit. These elusive fish spawn on the wrecks this time of year. We use spinning tackle to sight fish for them with crabs. Permit are tons of fun and a bucket list for sure. 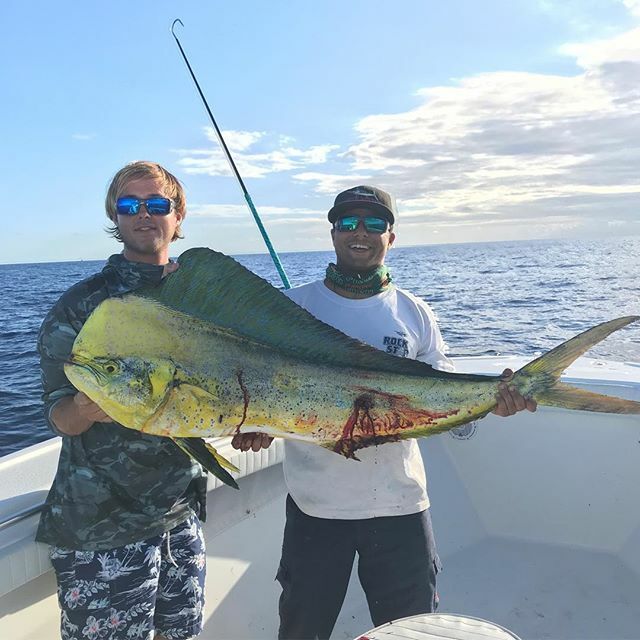 Every year the mahi-mahi usually show up during May or June. These fish are great fighters and delicious to eat. As we transition into summer, we will do less kite fishing and more sight fishing/ trolling for mahi. This is usually fast paced fishing as we often run into big schools of fish. It's not uncommon to hook 5 mahi-mahi at the same time and see dozens more swimming around the boat. We have a few openings left during April and more slots available during May and June. 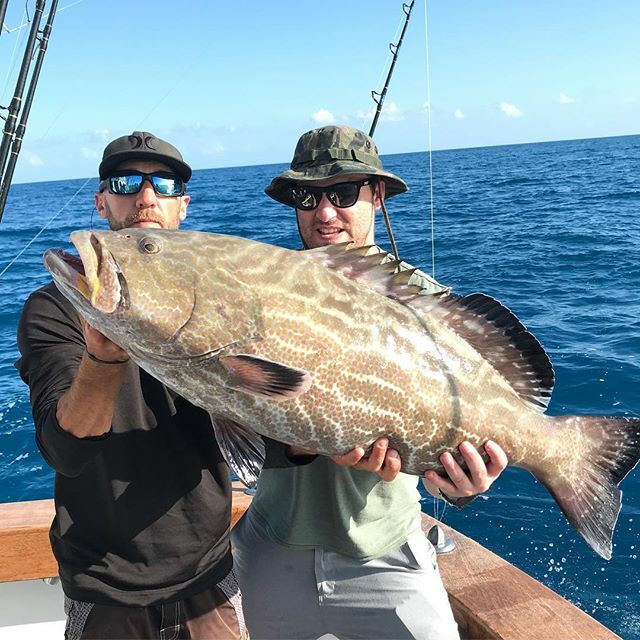 Contact us now to arrange a trip so we can capitalize on the bite.